5 MEMBER PICKS AVAILABLE BET NOW! FOUND 2 VOIDED PICKS WITHIN THIS TIMEFRAME. YOU CAN VIEW THE VOIDED PICKS AS WELL AS THE REASONING BELOW. Picks can be voided for a number of different reasons such as an entry mistake by the service or game being canceled or postponed. 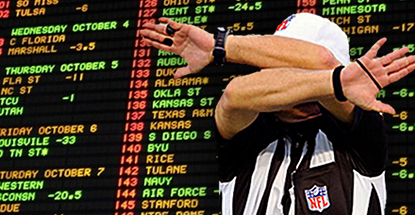 If a service does not grade a pick within 2 weeks of the game date, it is automatically graded as a loss by CapperTek. 100% transparency. ACCESS TO OUR MEMBER PICKS TO VIEW IT RIGHT NOW.